Dellorto Carburatori Oblong Stickers. 2", 4", 5", 6" or 8" Pair. 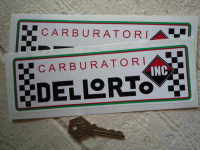 A pair of white, red, green and black, Dellorto Carburatori stickers. Available in either a 2" pair for £1.50 (each sticker measures approximately 55mm by 28mm) , a 4" pair for £3.50 (105mm by 55mm), a 5" pair for £3.95 (130mm x 68mm), a 6" pair for £4.25 (155mm by 80mm) or a 8" pair for £4.95 (205mm by 105mm). Stickers are cut to shape, the white squares that you see are the backing paper. 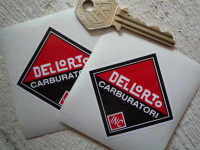 Dellorto Carburatori Inc Diamond Shaped Stickers. 60mm or 80mm Pair. 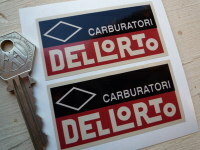 Dellorto Carburatori, Red, Black & Beige Stickers. 2.75" Pair. 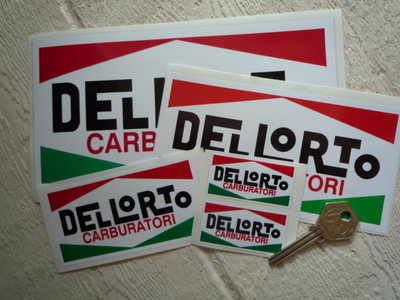 Dellorto Carburatori Stickers. Set of 4. 1". 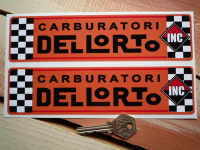 Dellorto Carburatori Inc Orange Oblong Stickers. 5" or 8" Pair. 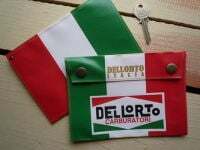 Dellorto Italia Carburatori Small Document Holder/Toolbag. 7" or 10". 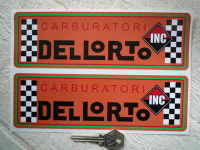 Dellorto Carburatori, Red & Green With Diamond Stickers Pair 2.75"
Dellorto Carburatori Inc Orange with Green Line Oblong Stickers. 8" Pair. 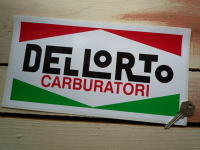 Dellorto Carburatori Oblong Sticker. 12". 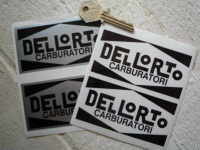 Dellorto Carburatori Black & Silver/Clear Stickers. 4" Pair. 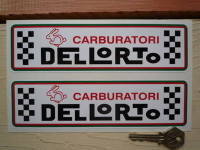 Dellorto Carburatori Rabbit Style Stickers. 8" Pair. 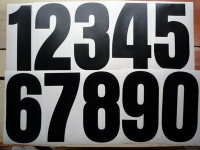 Carburatori Dellorto Black & Silver/White/Clear Stickers. 3" Pair. 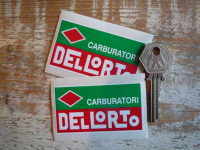 Dellorto Italian Filter Wash Instruction Stickers. 80mm Pair. 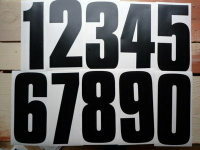 Dellorto Carburatori Black & Clear Stickers. 80mm Pair. 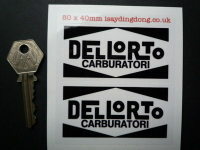 Dellorto Carburatori Inc Oblong Stickers. 8" Pair.